Blame it on the trucks and SUVs. The average price of a new vehicle (in the US) will hit an all-time high of $34,077 in 2016. This is a 2.7% increase over last year and a whopping 12.6% increase over the same period five years ago. This data comes from Edmunds, which predicts that the average purchase price will increase again in 2017 to $35,000. Jessica Caldwell, Edmunds executive director of industry analysis says "Although automakers have ushered in a crop of smaller, lower-priced vehicles, strong market demand for SUVs and trucks have caused overall prices to rise." Just another reason to hate SUVs. We have been getting a little tired of SUVs being so popular because manufacturers are putting all of their resources towards building them instead of sports cars. Edmunds also attributes the higher prices to increased light truck sales ,which currently account for 62% of the market. Leasing has made trucks more accessible and leasing now comprises 31% of the new vehicle market. In order to afford buying a car, people turn to leasing or buying used. Unfortunately, "more people are looking for affordable older vehicles than are actually sold, driving up values and demand," says Caldwell. So many people can only afford used vehicles and there are not enough to meet demand, which pushed the prices up. Here on Carbuzz, we love to recommend used cars that are good alternatives to buying a new car. 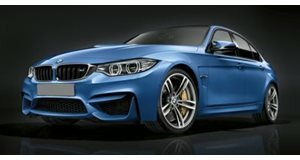 Spending over $34,000 on a new car seems like a lot, specially when we know that you could find used cars like the BMW M3, Audi RS4, and Mercedes C63 AMG for less than that. The next time you think that a new sports car like the Mazda Miata is too expensive, just remember that it is actually below average. 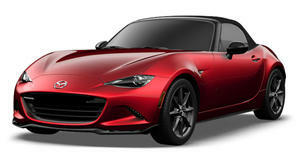 The Miata is now more comfortable and livable, but the Club trim harkens back to what this car was meant to be. How could the Miata get even better? Just add a higher redline!